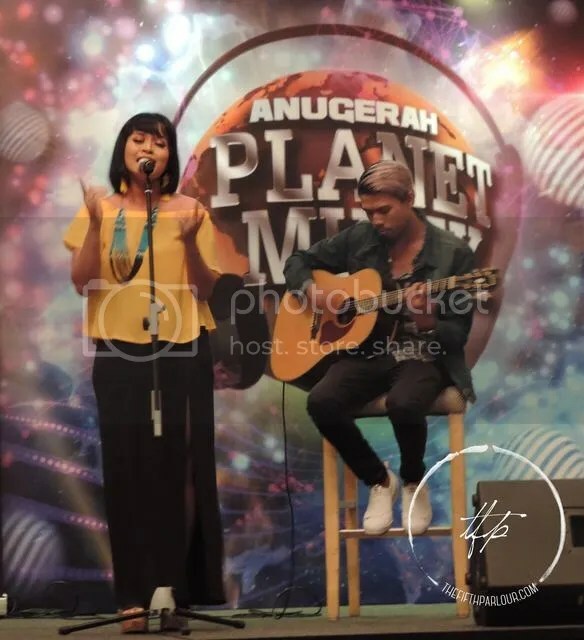 The award ceremony which aims to recognise talent and achievements of the Malay music industry – Anugerah Planet Muzik (APM) will be back in September 2016! 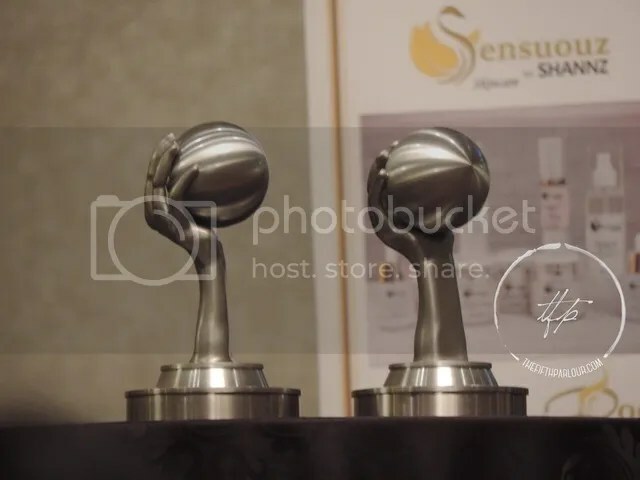 In its 15th year, they strive to maintain and create a bright and better prospect for the awards throughout the three region; Singapore, Malaysia and Indonesia. With the support of partnering TV stations, viewers grew from strength to strength with the highest rating of 4.4 million viewers across the region for APM 2015. Along the way, APM itself had won awards such as Best Entertainment Special and highest rated TV Programme in Pesta Perdana. A total of 420 entries were received. Limited awards to be given among the best of the best. During the media conference, the media was introduced to local artiste such as Din Ilango, Kalysa, The Chapters and Haikal and were treated to their awesome vocals. These acts has been nominated for some categories in the Singapore region. 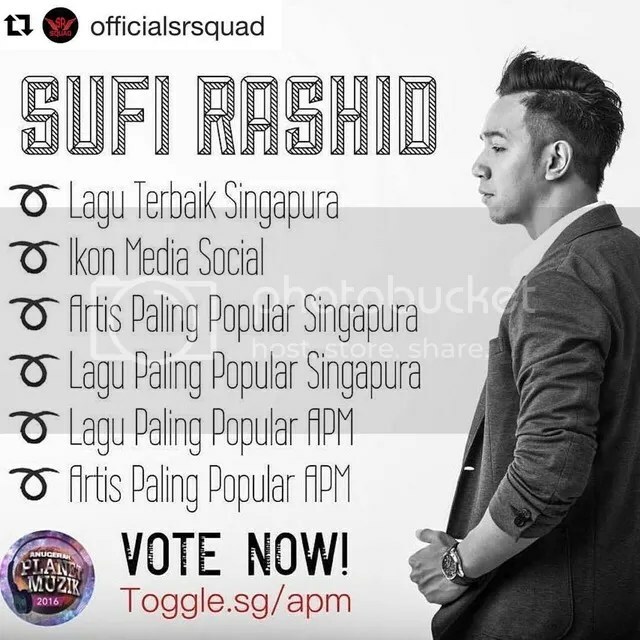 Kisah Dua Muka’s singer, alongside our first Singapore Idol; Taufik Batisah, Sufi Rashid hold the most nominations for Singapore being nominated in six categories; Most Popular Song Singapore, Most Popular Song, Best Song Singapore, Most Popular Artiste Singapore, Most Popular Artiste and Social Media Icon. He is no stranger to the music entertainment industry as he is both well known in Singapore and Malaysia after being the first Singaporean to win the 12th season of Malaysian reality TV singing competition Akademi Fantasia (AF). For full list of nominations, check out Anugerah Planet Muzik Facebook Page and Toggle.Sg/APM for updates and to cast your votes for Social Media Icon and the Popular categories. Some line up of artists performing for APM 2016 includes Musikimia, Afgan, Rizky Febian, Ayda Jebat, Ayai Ilusi, Caliph buskers, Sufi Rashid, Aisyah Aziz, Awi Rafael and more to be revealed soon. Anugerah Planet Muzik 2016 will be held at the Mediacorp theater in conjunction with 80 years of Mediacorp radio. Tickets are on sale now at SISTIC.